Brenda Sutherland has a passion for lilies, and small flowering trees and shrubs including hardy own-root roses adapted for our Canadian winters. 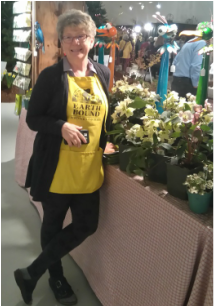 One of Brenda's favourite hang outs is the Owen Sound Farmer's Market (you can find her there Saturday mornings from May through October). Judy Larkin is our "Queen of the Daylilies". 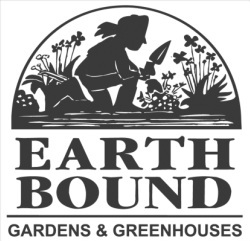 Earthbound features Ontario grown and hybridized daylilies for purchase on site. Our daylily display beds and gardens are at their peak in July. Judy is equally dedicated and passionate about native plants and wildflowers. To that end she is responsible for Earthbound's "Don't Dig It" campaign. The native plants we have for sale on site are nursery grown and propagated. Ask her about her Wildflower Wedding arrangements. John Close, BSc Agriculture, is our "dirt and fert" (fertilizer) go to guy, and general main grower and greenhouse operator. 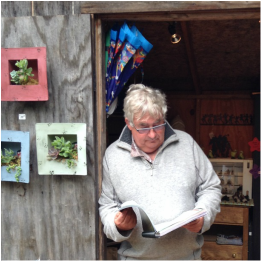 Dedicated to environmental responsibility, John is available to share his sustainable gardening and integrated pest management knowledge with you. John can help you find seeds, and starter plants for your vegetable and herb garden. "Farmer John" is happiest out in his fields, tilling and planting...and he makes sure that we have fresh produce available from our fields for you to enjoy through out the season. Our commitment to conservation, preservation, and living an integrated lifestyle with the earth we work on is apparent throughout our gardens, greenhouses and gift shop. We support organic practices, use xeriscaping & permaculture techniques and recycle diligently. Experienced horticulturalists, John, Judy, Brenda welcome you to their gardens. They are on site to assist you with your gardening questions and needs.